Since August 1st 2015, many insurance policyholders in Ontario who become injured in a vehicle collision will be left with less compensation for their injuries and for pain and suffering. Effective on that date, the Government of Ontario implemented changes to the Ontario Insurance Act in order to lower costs for insurance companies. One of the key changes made to our coverage was to increase the amount of deductible for accident claims. The "deductible" is the amount of an injured person's pain and suffering award that has been stripped away by the Ontario government insurance laws. 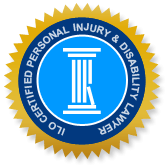 Accident victims simply do not receive the full value of their claims for pain and suffering and loss of enjoyment of life (unless the claim exceeds $129,395.49). What's more, if the value of the pain and suffering claim does not exceed the deductible, the injured person can be required to pay the insurance company's legal costs. Further, the amount of the deductible for pain and suffering increases every year. Prior to the 2015 change in insurance legislation, the deductible amount was $30,000, but effective on January 1, 2019, and until the end of this year, $38,818.97 will be deducted from awarded non-pecuniary damages. However, if the victim’s pain and suffering is assessed as more than $129,395.49 then the deductible does not apply (formerly, the deductible was waived if the victim was awarded more than $100,000). This means that if an accident victim is awarded $50,000 for pain and suffering, they will actually receive only $11,181.03 ($50,000 - $38,818.97). Furthermore, if you are awarded $35,000 in a claim for pain and suffering, not only will you not receive any compensation because this amount is lower than the deductible, you will also likely have to pay the insurance company for their lawyers and trial costs (because your damages were deemed to be less than the $38,818.97 minimum claimable amount for pain and suffering). For family members making claims for pain and suffering under the Family Law Act, the amount of the deductible has been increased from $15,000 to $19,409.49 (unless the accident victim dies as a result of their injuries). Also, these claims now have to exceed $64,697.21 before the deductible is waived, whereas the deductible threshold was $50,000 prior to August 1 2015. As result, if you were awarded $50,000 for pain and suffering, perhaps related to severe injuries to a sibling or older parent, you would actually receive only $30,590.51 ($50,000 - $19,409.49). These deductibles are effective until December 31, 2019 and will continue to increase each year by 1.6 per cent. This means that accident victims will typically receive a lesser amount each year because the Province of Ontario plans to adjust the amounts annually for inflation. Although the supposed reasoning behind these increased deductibles is to keep insurance costs down, how many of us have seen our insurance rates decrease in the past ten years? One result of this change is that there will be more money in the hands of the insurance companies. We seem to have lost sight of the original purpose of compensation for insurance claims which is to help victims of trauma and accidents recover and get back on their feet. These amendments to the Ontario Insurance Act affect anyone who is seriously injured in an automobile accident in this province. Any one of us could one day be in the position of needing compensation for serious injuries resulting from an accident. Please contact your provincial member of parliament to voice your concerns about these changes. Ask your representative if they support these changes, as well.